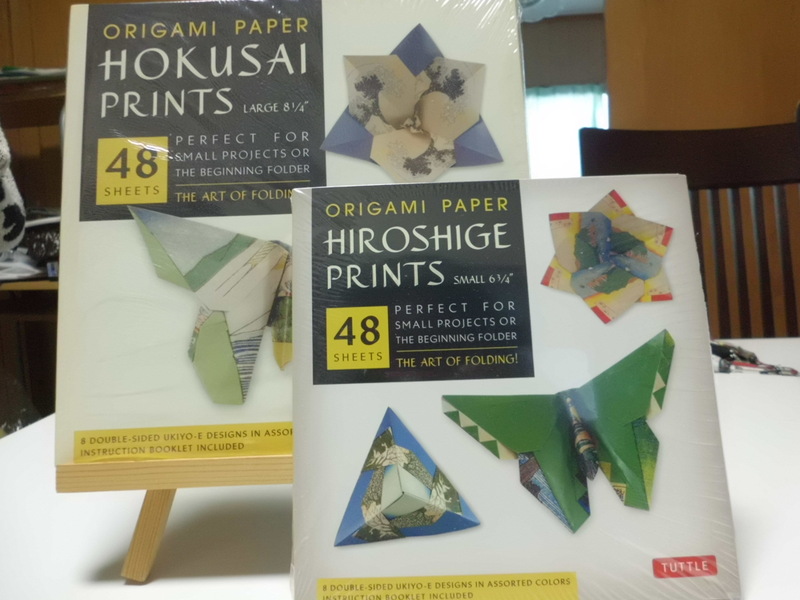 Hokusai and Hiroshige Origami Paper from Tuttle! 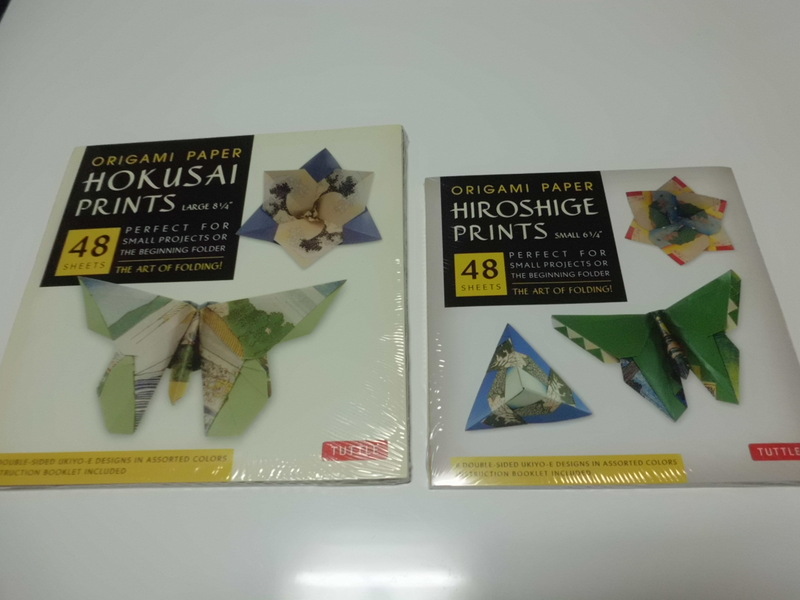 I entered a giveaway on one of my favorite blogs, Tokyo5, and won two specialty origami paper sets from Tuttle! 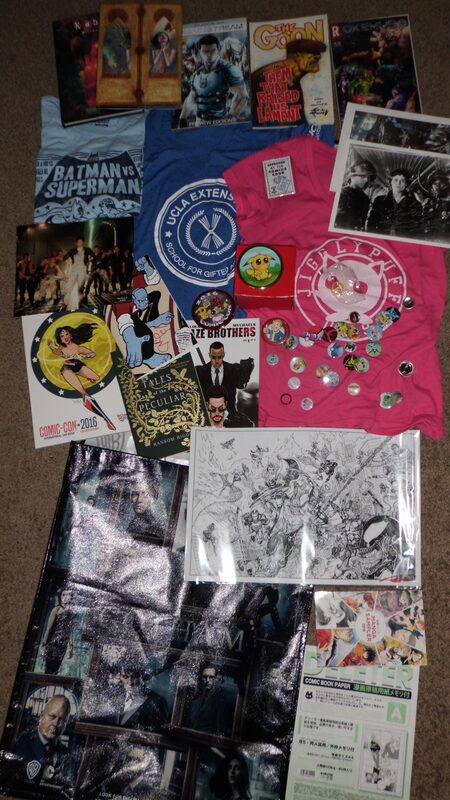 I’m so happy to have these! 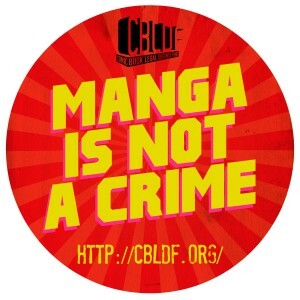 I studied both Hokusai and Utagawa Hiroshige in college, and I fell in love with ukiyo-e, or woodblock prints. 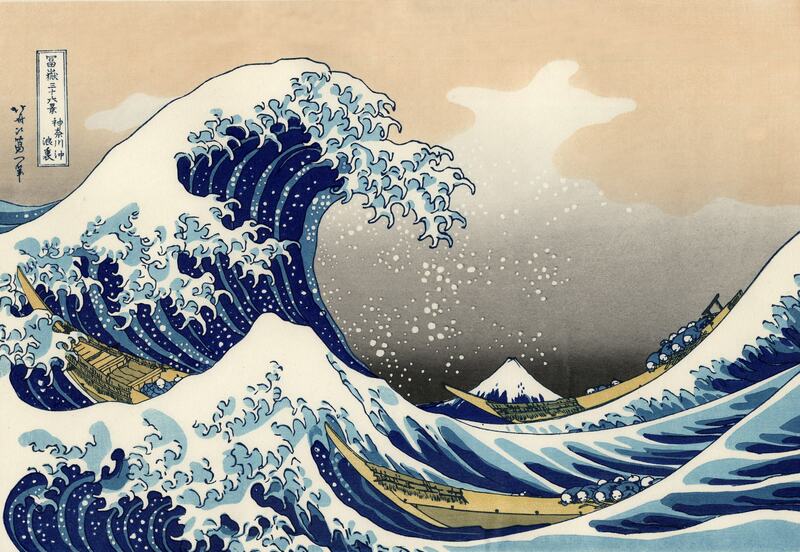 Who are Hokusai and Hiroshige? They are ukiyo-e artists who changed both the techniques and styles of ukiyo-e into what we know it today. Hokusai created unique compositions in 36 Views of Mount Fuji (find the repetition of three in The Great Wave off Kanagawa), and Hiroshige developed color gradients in ukiyo-e like Plum Tree at Kameido. 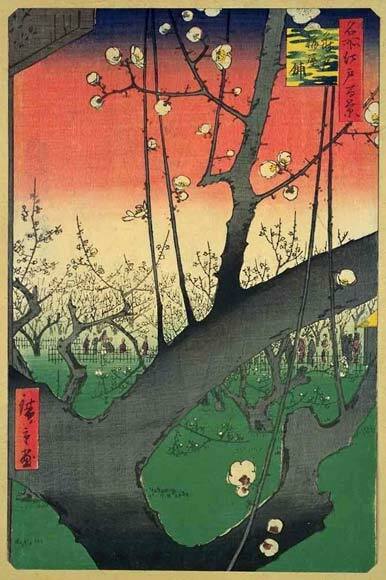 In my Japanese Art History class, I had to copy a master’s art piece, and I chose Hiroshige’s Plum Tree at Kameido. 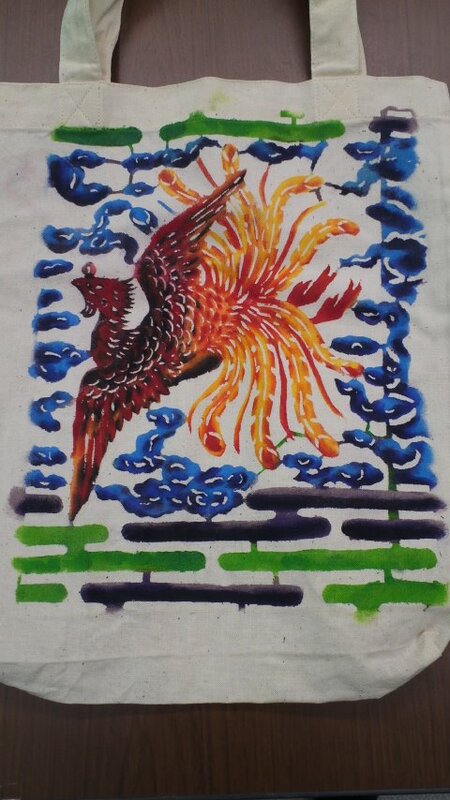 See my try!